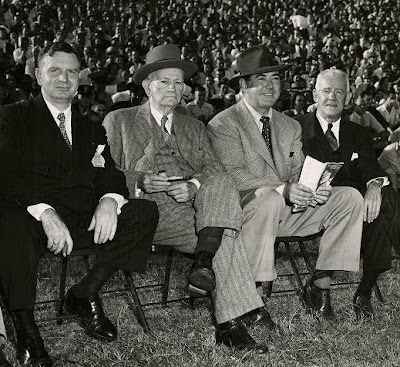 1950 homecoming victory against Mississippi State (14-7). Alabama's first Homecoming game was on Nov. 13, 1920, a 21-0 victory against LSU. The event was the brainchild of UA Athletic Director Charles Bernier who had arrived at The Capstone that year from Virginia Tech. He took over organizing many of the school's homecoming activities when he became the alumni secretary in 1942. 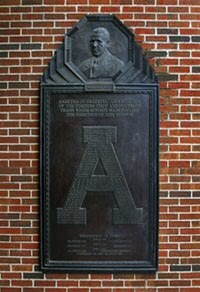 Bernier, who coached baseball and basketball when he first arrived in Tuscaloosa, is also credited as introducing grant-in-aid scholarships at the school.